Ages 7 and 8 is an instructional introduction to Softball. 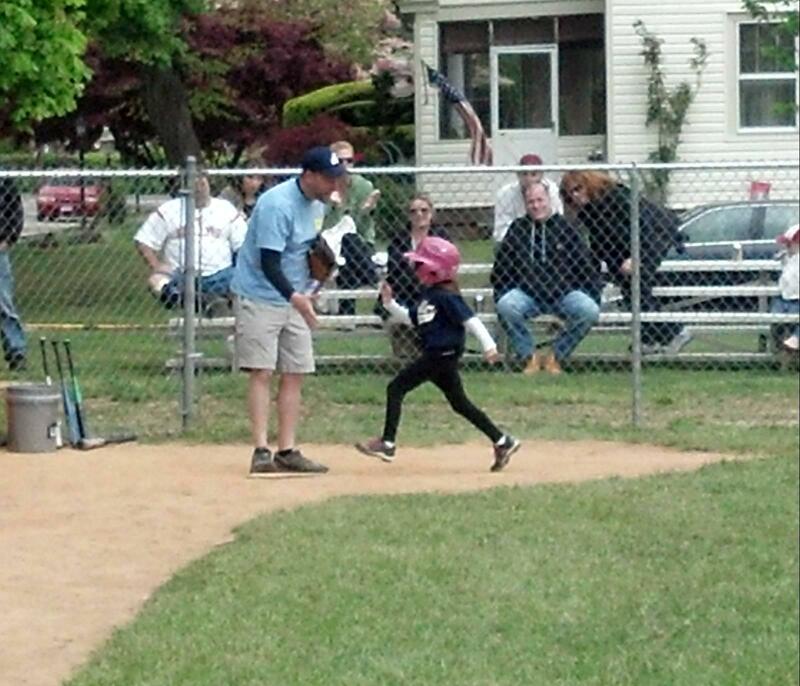 The program builds on the fundamentals taught in T-ball and introduces the fundamentals of Softball. There is no score keeping and games last no more than an hour and a half. There are about 12 games, with no playoffs, per spring season which runs from April to June. Home field is Pickering Field. Opponents may include East Norriton, Lower Gwynedd, Plymouth and Whitpain. In fall (September-October) most games are at Schweiker Park in Hatfield. Ages 9 and 10 is competitive softball with an emphasis on fundamentals and player development. Introduces ASA rules including sliding and full time player pitching. Games are 6 innings or a maximum of two hours. There are about 12 games, not including playoffs, per spring season which runs from April to June. Home field is Pickering with some games at the Wissahickon Middle School. Opponents may include East Norriton, Lower Gwynedd, Plymouth and Whitpain. In fall (September-October) most games are at Schweiker Park in Hatfield. Ages 11 and 12 is competitive fast pitch ASA softball which builds on the concepts taught in the 9-10 program. Games can be played any day of the week and are 7 innings or a maximum of 2 hours. There are about 12 games plus playoffs per spring season which runs from April to June. Home field is the Wissahickon Middle School. Opponents are in the Inter-Community Girls Softball League (www.eteamz.com/icgsl). In Fall most games are at Schweiker Park in Hatfield. Ages 13 and 14 is competitive fast pitch ASA softball. Games can be played any day of the week and are 7 innings or a maximum of 2 hours. There are about 12 games plus playoffs per spring season which runs from April to June. Home field is the Wissahickon High School (JV or Varsity field). Opponents are in the Inter-Community Girls Softball League (www.eteamz.com/icgsl). In fall (September-October) they play in the Valley Intercommunity Girls Softball (VIGS) League (www.vigs.net). Ages 15 to 18 is competitive fast pitch ASA softball. Games can be played any day of the week and are 7 innings or a maximum of 2 hours. There are about 12 gamesplus playoffs per spring season which runs from April to June. Home field is the Wissahickon High School (JV or Varsity field). Opponents are in the Valley Intercommunity Girls Softball (VIGS) League (www.vigs.net). In fall (September-October) they also play in the VIGS league. Travel Softball – Ages 15 -18 is competitive fast pitch softball played against teams from the Montgomery County area in the Valley Intercommunity Girls Softball (VIGS) League. Spring Programs run from April to June for Ages 4 to 18 years old in Baseball and Softball. Ages 4-6 Quickball is a version of baseball developed by USA Quickball (and Ambler Sports Academy owner, Shannon Gunby) and used extensively by the Cal Ripken organization to teach all diamond skills in a more active, engaging way. Anyone can play and teamwork is emphasized on all levels. Each player gets to try for a single, double, triple and home run in every game! There's also scoring on both offense and defense and anyone can succeed regardless of skill level. It teaches and strengthens baseball skills by offering multiple hitting, fielding and throwing chances for all players during each game. Innovative concepts such as timed team at bats, rapid batter rotation and two-way scoring keep games moving and get everyone involved - critical elements in grabbing the attention of today's kids. A representative of USA Quickball will be on the field for most games. AAA Baseball Ages 9 and 10 is competitive baseball play with full time player pitching, sliding, stealing and bunting. The strike zone is expanded to encourage hitting rather than walking. Games are a maximum of 6 innings or two hours. Games can be any day of the week. The spring season runs April-June. Fall runs Sept-Oct with games only on week-ends. Note: AAA Baseball is offered in the spring (April-June) and fall (September-October). Major Baseball Ages 11-12 builds on the concepts taught in AAA and incorporates more advanced baseball concepts and strategies such as leads, dropped third strike, and infield fly rule. Games are played with 75 foot bases and a 50 foot pitching distance. The spring season runs April-June. Fall runs Sept-Oct with games only on week-ends. Note: Major Baseball is offered in the spring (April-June) and fall (September-October). 8U Mini Softball Ages 7 and 8 is an instructional introduction to Softball. The program builds on the fundamentals taught in T-ball and introduces the fundamentals of Softball. There is no score keeping and games last no more than an hour and a half. There are about 12 games, with no playoffs, per spring season which runs from April to June. Home field is Pickering Field. Opponents may include East Norriton, Lower Gwynedd, Plymouth and Whitpain. In fall (September-October) most games are at Schweiker Park in Hatfield. 10U Minor Softball Ages 9 and 10 is competitive softball with an emphasis on fundamentals and player development. Introduces ASA rules including sliding and full time player pitching. Games are 6 innings or a maximum of two hours. There are about 12 games, not including playoffs, per spring season which runs from April to June. Home field is Pickering with some games at the Wissahickon Middle School. Opponents may include East Norriton, Lower Gwynedd, Plymouth and Whitpain. In fall (September-October) most games are at Schweiker Park in Hatfield.